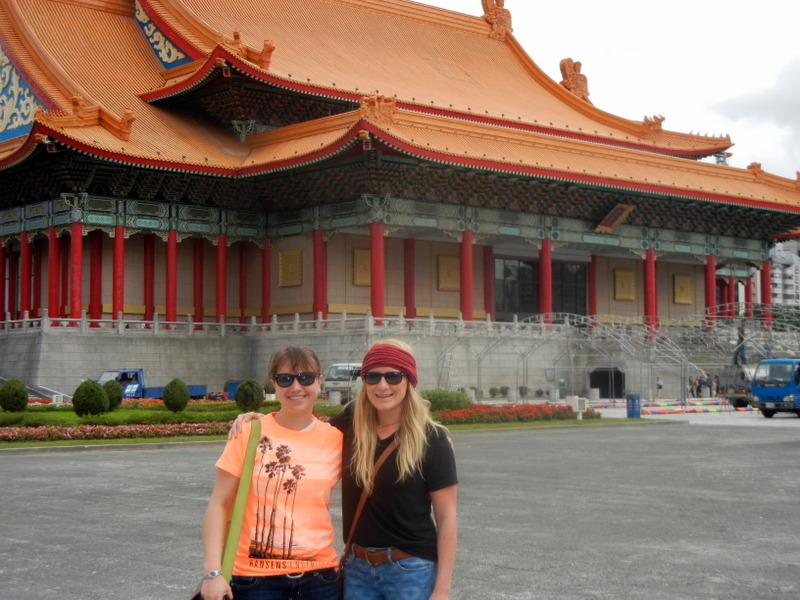 We finally made it to Taipei after a VERY long day of traveling! I must say that we had a pretty good set up on the plane. Ashley and I both had aisle seats and she was directly behind me. I actually didn’t have anyone sitting next to me which was nice because I like to strew my things all over the place. 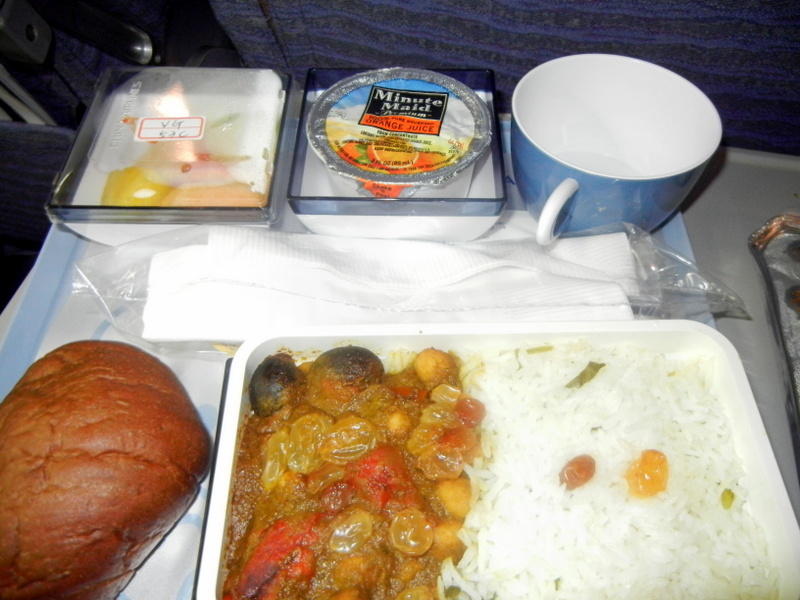 The flight attendants on China Airlines are very nice and attentive but I must say that the food is questionable at best… Luckily I am always prepared with snacks. We arrived at 5:30am and found Jamie Lynn, the program coordinator for CCUSA, almost immediately. 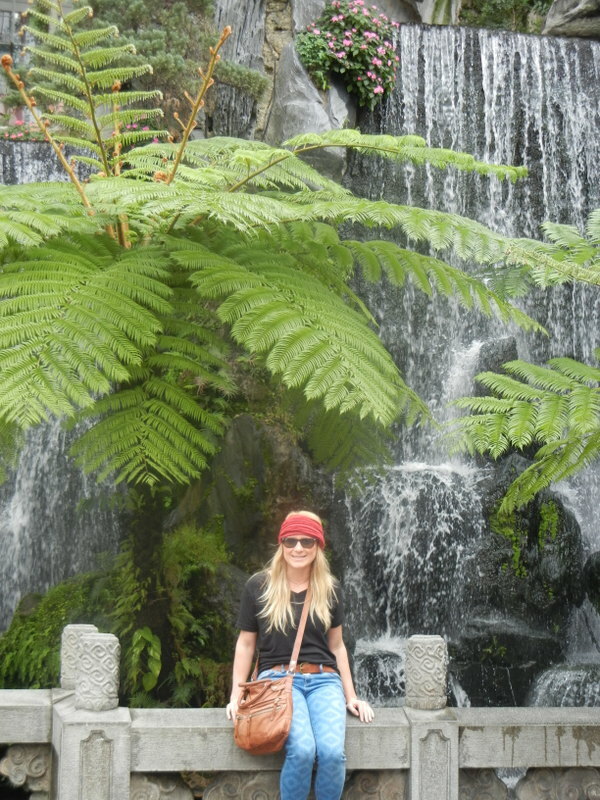 Our driver brought us to the hotel and we took some time to unpack, nap and shower before we headed out to explore. Our gracious host, Albert, met us around 10am and took us out to brunch with his son, Aaron. After brunch we did a few touristy things like visit the National Theater and Concert Hall and the Temple. We planned on going to the top of Taipei 101, which has the fastest ascending elevator and was actually the tallest building in the world from 2004 – 2010. Unfortunately there was a pretty long wait so we decided to bail. Hopefully we will be able to check it out at some point this week. 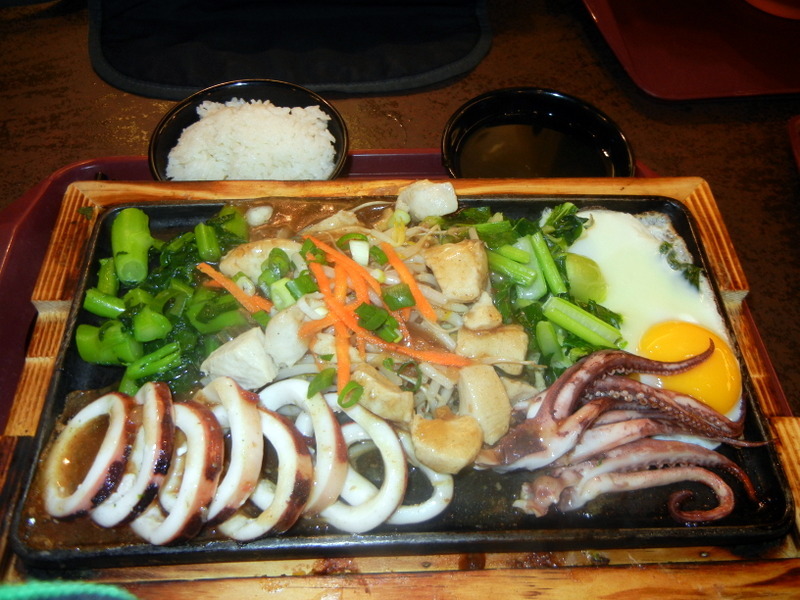 We did end up staying to have lunch at Taipei 101 and I had a delicious stir fry with chicken, vegetables and octopus. After lunch, we headed back to the hotel for a few hours. It was kind of starting to get rainy/gloomy so I decided to check out the hotel’s gym. They had a few bikes, treadmills, a rower, a bunch of weights and some other random things like 20-30 steps for step aerobics. I did 4 rounds of 8 burpees, 10 push press, 12 OH walking lunges and 14 air squats and then I did 1000m row. Albert brought us to dinner with both of his sons – Sean and Aaron. 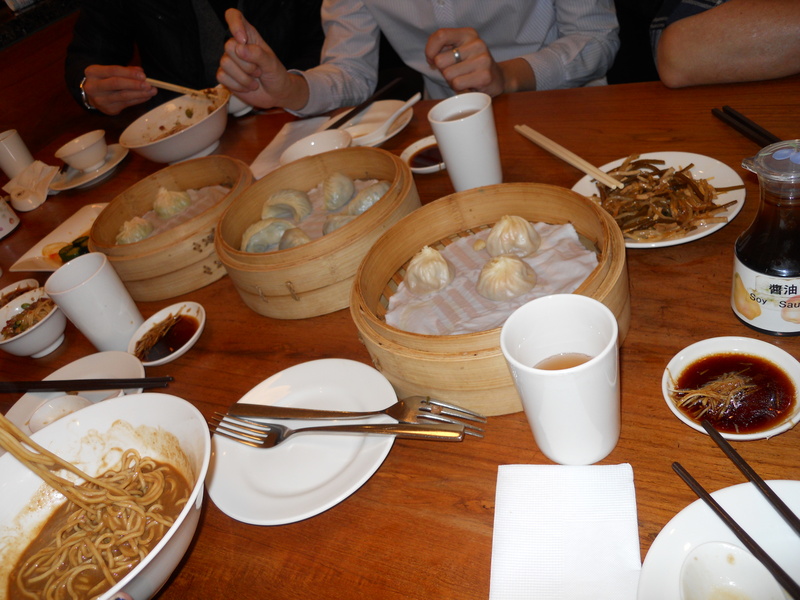 We went to Din Tai Fung, an authentic dumpling house which was absolutely amazing. 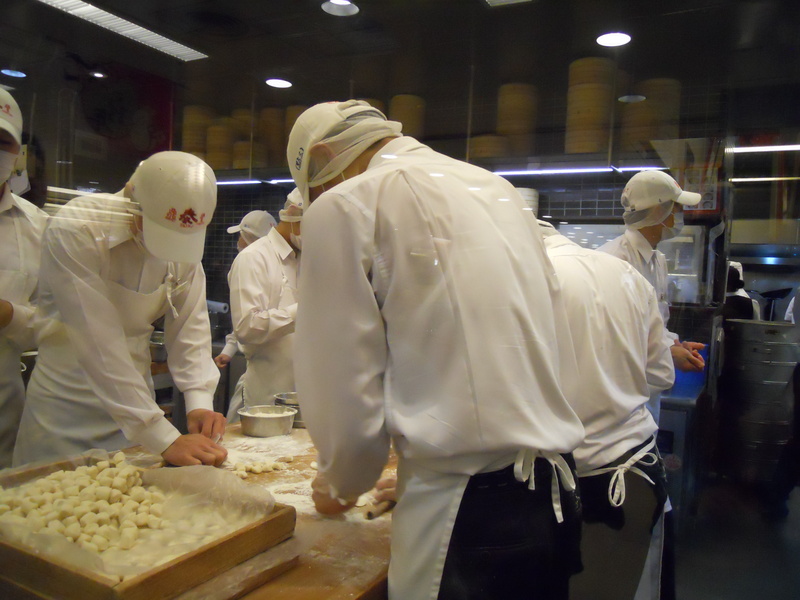 While you are waiting to be seated, you can actually watch the dumplings being made from scratch. The boys ordered a bunch of different things for us to try including pickled cucumber, some type of seaweed dish, shrimp fried rice, several different types of dumplings, peanut noodles, hot and sour soup, and a few sweet dumplings including some filled with red bean paste. Well I’m off to bed. I think tomorrow is going to be a pretty long day. I’m hoping to go for a run in the morning (the weather is supposed to be beautiful! ), then Ashley and I have around 50 or so interviews at the job fair and I believe we are going to the night market for dinner/shopping.